It’s Spring fever at Nature Line Ltd and so we are blooming with new hot offers for the coming month. We hope that you also join in our festive mode and benefit from the following offers. 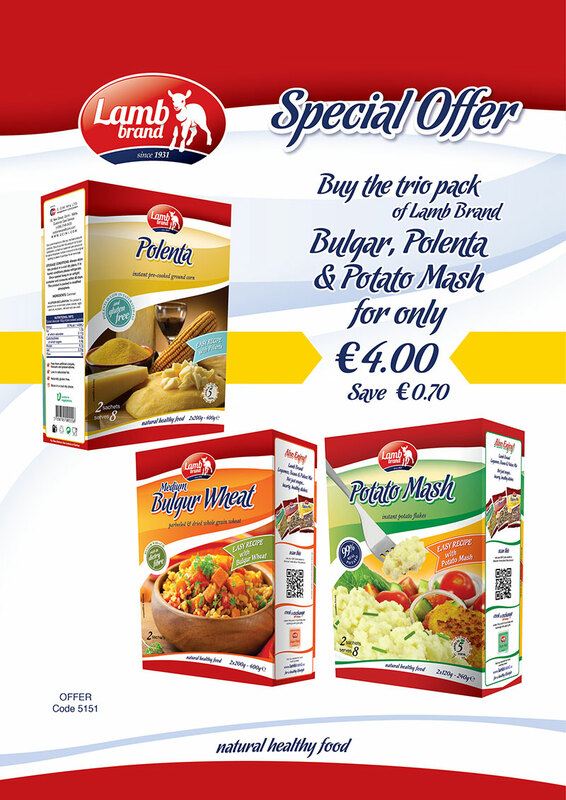 One can easily find these offers in all supermarkets and local stores. 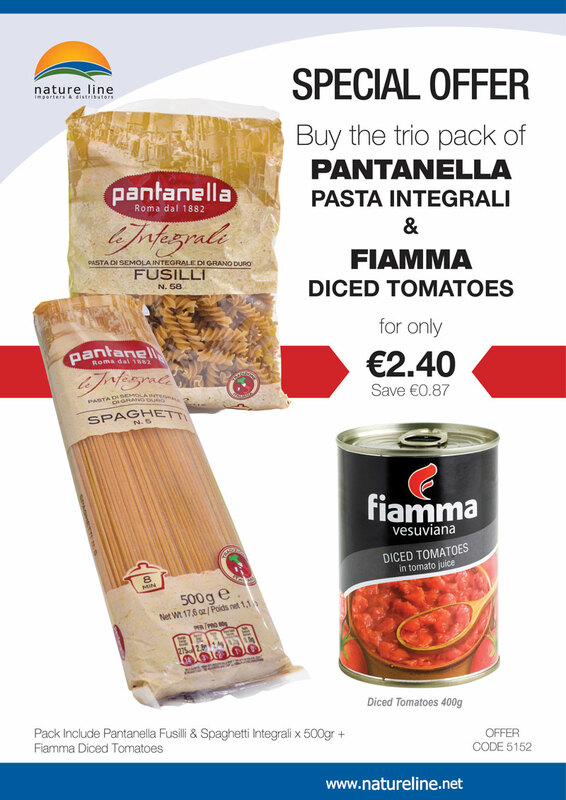 This pack includes Pantanella: Fusilli x500gr & Spaghetti Integrali x500gr and Fiamma Diced Tomatoes. 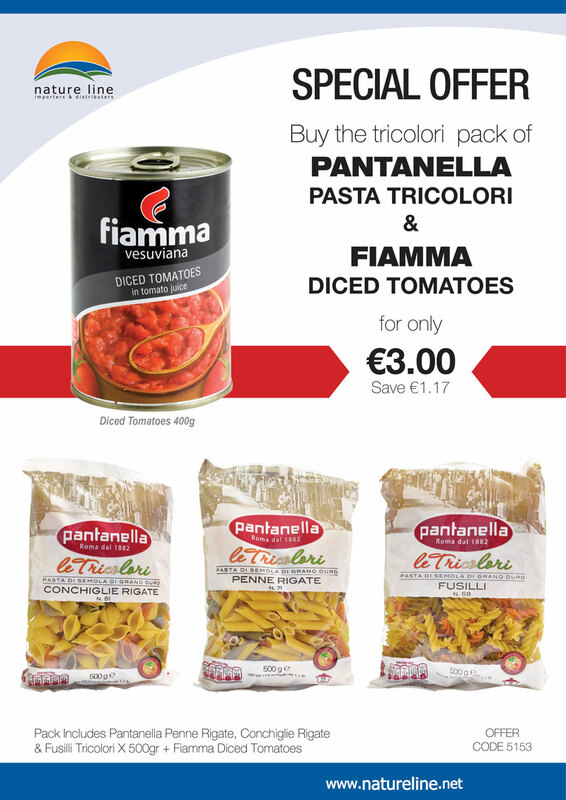 This pack includes Pantanella Tricolori: Penne x500gr, Conchiglie x500gr & Fusilli x500gr and Fiamma Diced Tomatoes. Wishing you all a lovely Spring with lots of cooking and baking! Stay tuned with our website for more monthly offers.